1.5" (38.1mm) thin antique bronze tone plated ball-end head pins. Approx. 0.02" diameter (24 gauge/0.5mm). Approx. 1.8mm ball end. Antique Bronze Plated over brass. 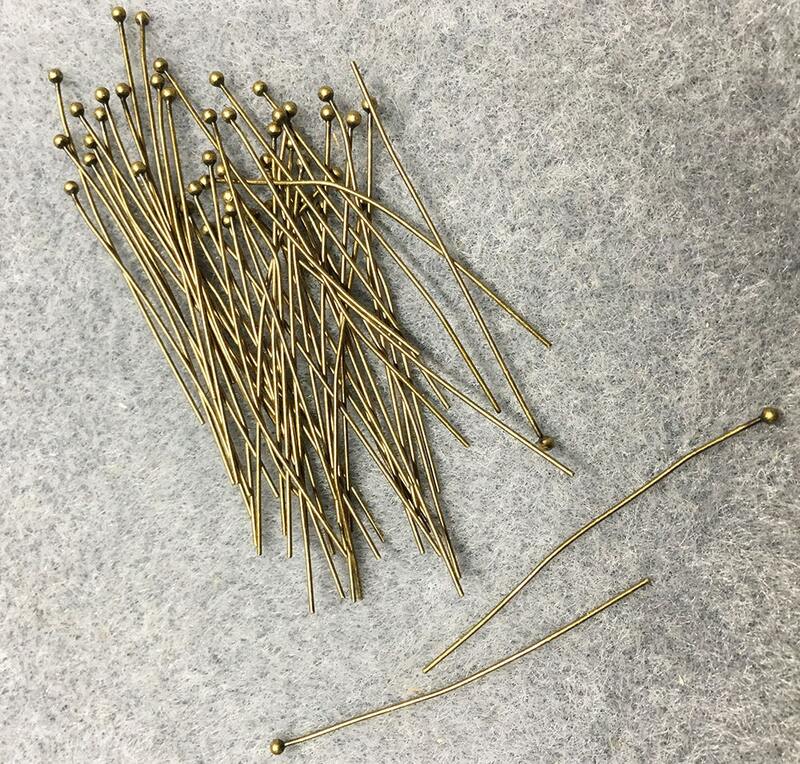 Thin head pins are for small-hole beads. 50 head pins per package. Nice quality.